Despite the phenomenal pace of technological advances, it seems clear that we still value using pen and paper to take notes and stay organised. Paper versus digital. Traditional versus contemporary. Where would society be without pens and paper and yet look how far we have advanced through the use of digital technology. For students nowadays, having both resources as reading and writing tools is a given. Yet the physical act of writing notes or essays is often favoured over using a screen or keyboard, given it’s ‘real feel’ and seems to be just as popular today, as ever before. Using pen and paper has lasted through the centuries for very good reason. Our modern society is one that increasingly relies on technology, for everyday home life, work and study, yet the desire to use pen and paper remains consistent. Ryman Stationery is the long established traditional authority for writing tools and equipment. 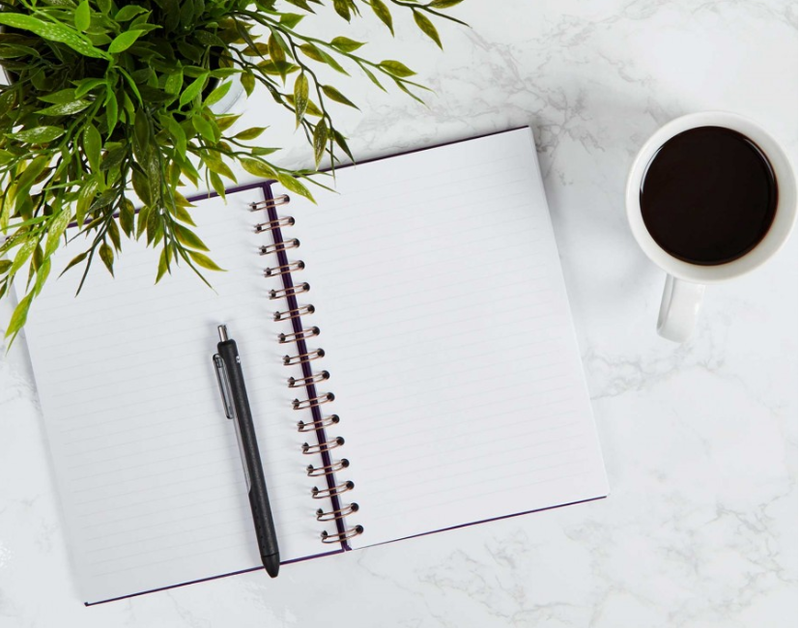 Despite the phenomenal pace of technological advances, it seems clear that we still value using pen and paper to take notes and stay organised. Throughout all walks of life, these traditional means can often outperform hi-tech gadgets and it is a method that we feel safe using. No software malfunctions, no need to back-up information and ultimately, creative freedom. The ability to be able to use a pen and paper and read from a printed source is one we should not underestimate. Not only is handwriting and reading a critical lifeskill, but something that young adults should all be able to do with confidence. Given that most exams are handwritten, it serves as a fundamental skill throughout school and university. Nothing compares to putting pen to paper and this Nu A4 Kraft Wiro Notebook 100gsm 80 Sheets (£5.99) is hard to beat for jotting down notes, ideas and doodles. With a classic wire binder and luxurious cream lined paper, all of your jottings will be penned in style. Handwritten notes allow many a better retention of information than perhaps would be if typed. Because it takes longer, there is more time for information to be absorbed and digested. For jotting revision notes down, why not try the Silvine Revision and Presentation Cards (£2.49). Lined and in a variety of colours to help differentiate points or subjects, they are perfect to assist with revising or presentations. To stay on top of homework and plans, organisation really is key and nothing beats using an academic planner to plan and prepare. Ryman’s assortment of Academic Planners means you can stay on top of work and inject some personality into your admin duties. And for project planning, why not try an Oxford Campus Project Book A4 (£6.99). With 200 pages and 4 coloured dividers, this is the ideal aid for students organising work and taking notes in one compact pad. For a real heritage feel, a fountain pen such as the Parker Vector Fountain Pen (£13.99) combines style and durability to your writing. Add blue or black ink cartidges (£4.99) and you’ll be set to pen an essay beautifully. If you prefer a more modern and creative approach to your note taking, the Paper Mate Inkjoy Gel Pen Pack (£14.99) allows for smooth writing and a funky, artistic way to brighten up your lectures. So much of our world is dominated by digital methods and impacts the way in which we study, work and organise our lives. Printed books are frequently converted into digital text, through the use of e-book readers and newspapers and magazines are subscribed to in digital formats. Voice controlled devices are used more and more to systematise and organise house and home and personal health can be monitored on your wristwatch. Within the world of work, connectivity is crucial, through smart phones, internet communication and resource. Yet given the popularity and effectiveness of using traditional pen and paper, the merging of traditional stationery with digital products, is ever-increasing. Despite the pace of change through technological prowess, the act of writing and drawing remains vital. Even in our modern world, handwriting remains an imperative skill for learning and communicating. The Moleskine Smart Writing Set with Paper Tablet and Pen (£189.99) allows the use of both a traditional notepad and modern tablet or smartphone. Using the Moleskine App, your handwritten notes are transferred from paper page to digital screen in real time. You can then add images, edit your workings, save and share. It’s the perfect companion for lectures and meetings or simply for those of you who can’t be parted from their trustworthy notepad. If you prefer to read printed text but need documents transferred to a digital screen, why not try this IRISPen Air 7 Digital Portable Scanner (£89.99 reduced from £119.99). Simply highlight text in books, newspapers or any type of paper document and the selected will be re-typed in any text editor for you. Save time and square eyes. When the use of paper comes full circle and digital work needs to be printed, why not opt for an economical and eco-friendly option? The Epson Eco Tank ET-2750 Printer (£299.99) is perfect for those needing an ultra-low cost printing solution. If you’re living with friends – why not split the cost and share the benefits? Not only will you save on costs, you’ll also be doing your bit for the environment as this printer comes with three years’ worth of ink – meaning no empty plastic cartridges to dispose of. Perhaps what we can conclude is that a multi-channel approach is the reality. Using the traditional yet unique benefits of paper, mixed with the convenience and accessibility of digital, can be only beneficial and increase the chances of learning and academic outreach. Despite the phenomenal pace of technological advancements however, pen and paper still proves to be a hugely effective and creative way to write and express oneself. In essence, handwriting forms part of our everyday lives and is both a practical and inspiring way to convey knowledge and ideas. Henry Ryman opened the doors of his first shop on Great Portland Street, London in October 1893. 125 years on, Ryman Stationery continues to provide essential stationery items and unrivalled product knowledge, range and service to its customers. In 1995, successful businessman and star of BBC TV’s Dragons' Den, Theo Paphitis, bought the company. Theo Paphitis is one of the UK’s most high-profile businessmen with an empire spanning retail, property and finance. Theo, through his staff at the Theo Paphitis Retail Group (TPRG), has continued the Ryman tradition of excellent customer service. Ryman offers an extensive range of school, university, office and home products which includes stationery, office supplies, technology and office furniture. With 209 stores throughout England and Scotland and operating online, Ryman also has business accounts and special discounts for students. The most western store is in Penzance, the most eastern store in Lowestoft, the most northern store in St Andrews and the store furthest south is in Brighton. The company’s head office is in Crewe, Cheshire. This press release was distributed by ResponseSource Press Release Wire on behalf of Ryman Stationery in the following categories: Children & Teenagers, Men's Interest, Entertainment & Arts, Women's Interest & Beauty, Education & Human Resources, Media & Marketing, Retail & Fashion, for more information visit https://pressreleasewire.responsesource.com/about.